If you follow me on instagram or Facebook, you’ll have seen that my husband and I found out about 4 weeks ago that we get to go to Disney World in December! Whether you follow me on social media or not, though, you don’t know the whole story behind it. In this post, I’ll share how this trip came to be, and next week I’ll share what our plans are for each day of the trip. As you know, I’m just a little bit Disney obsessed. My husband likes Disney, but not nearly on the level I do. Luckily for me, though, he loves going together because he knows how happy it makes me and he does truly enjoy it and always has a great time. About 4 1/2 weeks ago, my husband came home from work and told me he might have to go to a conference for work for a few days. I asked him when and where the conference was and he told me the dates and when he’d have to fly, etc. but he clearly was actively avoiding answering the location part of my question. I asked again, “where is it?” and he got all shifty eyed and said, “nowhere important”. It clicked immediately and I said, “It’s at Disney, isn’t it?”. He conceded that it was in Orlando but wasn’t at a Disney resort or on Disney property and they didn’t get to go to the parks or anything as part of the trip. It’s not my trip, it’s his trip, so the mature side of my brain was urging me to just accept it and forget about it. 2 days later, he called me on his way home from work and told me to put my mature, big girl pants on and then proceeded to tell me his boss still wasn’t sure if he wanted to send him, but, if he did go, I was welcome to join him. His boss cautioned that it’s not like I’d get to see much of him, but my mindset is more that I’d get to see a lot more of him if I went than if I stayed home. But, still, I took deep breaths and tried not to get excited. His boss promised to tell him by the end of the following day (a Friday). I am planning a friends’ trip with my very best friend (she’s basically my sister) in October 2019 for Food & Wine festival (her parents are amazing and are letting us use their Disney Vacation Club points for our hotel stay!). I’d already started pricing out park tickets for that trip, and I realized the cost of those tickets plus tickets for the potential December 2018 trip were actually more expensive than buying an Annual Pass. Anyway, I must have texted my husband an excessive amount that day, hoping he’d tell me he spoke to his boss and deliver the verdict. Finally, after what felt like days (but was really only like 3:00 that same day) he texted to tell me he was going and I could go, too!!!! I pretty much dropped everything and called him right away. Of course, he’d texted instead of called for a reason and wasn’t able to talk right then. But, when he did finally call me back, I basically word-vomitted all my research to him about the low flight prices and the cost savings with buying an Annual Pass vs. separate ticket purchases for the 2 separate trips. As usual, he listened patiently and then gently told me he still needed additional info before we could book our flights (his are being paid for by the company but we still wanted to make sure we’re on the same flight and sitting together and everything) and figure out how many days of a park ticket he could do and everything. So, we hung up and I called my mom and got all excited all over again and told her everything. I was explaining that, despite how social I am and how much I love having company, I was actually planning on going to the parks alone when hubby was in meetings all day and was even thinking of doing some sit-down meals solo when he had dinner obligations. 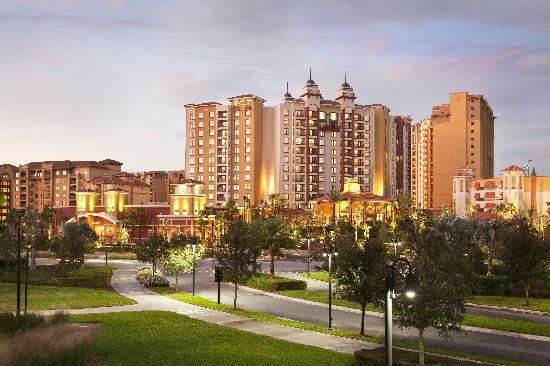 She started asking some specific questions about the dates and the hotel we were going to be at (The Wyndham Grand Orlando Resort Bonnet Creek) and how many days my husband was going to be in full-day sessions and not be able to join me in the parks. I answered all her questions but was suspicious and asked why she was asking all this info. She told me she was thinking of maybe joining us. I actually burst out laughing. As you read this post, my parents are in Disney World. They left on Saturday and come home today, so they’ll be home for barely 2 weeks before my husband and I head down for our trip. The idea had just occurred to her and she wouldn’t be getting a hotel stay for free like we are, so she had to do some research and look at finances and talk to my dad and all that, but she was seriously considering it. I should also note, for anyone completely horrified that my mom would just invite herself on a trip with me and my husband, I promise it’s not bad or annoying or overstepping. She knows full well we’d be blunt with her and shoot her down if we weren’t ok with it, but both my husband and I have an amazing relationship with my parents and it’s totally cool. Plus, I asked the hubs and he was totally happy to have my mom tag along with us. So, that’s the long story. A few hours after we found out about the trip, I bought my 1st ever Annual Pass. And just 2 days later, we booked our flights. 16 more days and we’re there! Check back next week for our daily plans for this trip!